PowerObjects delivers powerful solutions that address problems unique to healthcare organizations. 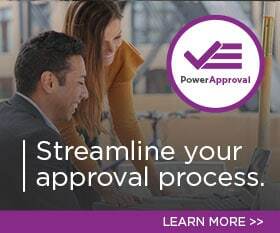 Whether you are a healthcare provider looking for a total care management solution, or a payer who needs to centralize all customer and account information in once space, PowerObjects will work with you to explore your options, deliver a solution, educate your users, and support your system. Connect with our Healthcare experts today! Managing complex healthcare relationships to streamline engagement for healthcare providers. Executive Health. Support travel coordination, welcome receptions, complete physicals, non-clinical appointments, and more. Referral Management. Track inbound patient referrals and the associated business processes to accept and onboard new patients. Concierge Services. Provide an extended level of support for your patients. Patient Outreach. Keep in front of your patients with direct marketing programs as well as event registration and management. PowerObjects has helped many customers explore Healthcare Solutions and make the switch to Dynamics 365. HealthPartners centralizes their data into one system and goes 95% paper free with customer and account info. Medica uses Microsoft Dynamics CRM to give users easy access to business intelligence, enable effective communications across departments, and make smarter business decisions. PowerObjects has put together an advisory board comprised of MDs, PhDs, allied health professionals, health informatics, and Dynamics 365 experts. Collectively, their backgrounds include Medica, family medical practice, Fortune 500 life sciences corporations, behavioral and mental health, cardiology, critical care, hospital supply and administration, and more. This group develops healthcare solutions specifically designed with clinician and business management input. PowerObjects’ healthcare solutions are built leveraging Dynamics 365. They enable organizations to effectively manage all the aspects of relationships between patients and physicians, providers and providers, staff and management, and more. We can customize your system to facilitate and automate scheduling, communications, task allocation and tracking, invoicing, reporting, resource allocation—anything where knowledge or data needs to change hands or prompt action.